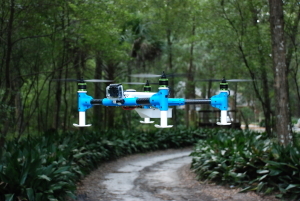 Grimmster Technologies – Outdoor Robotics is located in New Smyrna Beach, FL. 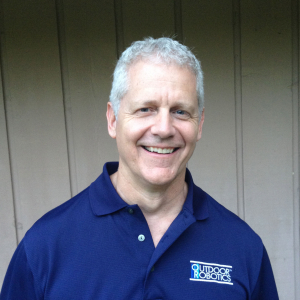 The founder and CEO Charles Grimm gives us some insight. Grimmster started originally as a web development and software company back in 1998. I bought my first domain name from network solutions for $75. I was still working for Morgan Stanley as an Financial Adviser at the time when I started a sole proprietorship. I was watching the tech sector a lot at this time and in particular the internet. As things started to change in the market I thought it was a good time to start developing a business in the internet as I thought this technology was only going to grow. Having already done a couple of startups back in Canada I thought I would just keep things simple and do web development. Of course as things grew in the internet so did my services and I found myself providing startup consulting, cloud hosting and internet marketing to my clients. At the time I didn’t really want to grow and take on overhead, employees and so on. I was fortunate to a have a group of core clients that liked what I offered. Well as things go I was helping a client for several years with a startup and began thinking about setting up a ventures company that could design and develop its own technology. Since I had joined a Capital and Startup Group in California in 2005 I was able to see a lot of new ideas being developed into technology businesses including the early stages of 3D printing. In 2010 I started working on a vision plan for building new a ventures company. It wasn’t until 2012 that I was hanging out with my brother at Thanksgiving when he brought out an RC Quad Copter he had been working on. I brought the copter out to a local business expo and did some market testing and had a retired University professor walk up and ask us if we wanted some funding. Taken by surprise I was still not convinced that this would be a market or something I even wanted to do. Long story short he wanted to be part of this new venture and handed us a seed capital check to be a minority investor. Together with that and some money I had put away I set up VisionCats LLC (Outdoor Robotics – the brand) and began 2 more years of product development, testing and validating the market. Here we are in 2015 with marketable designs and people interested in buying. I am now exploring for the right brand/capital partner that can manage manufacturing and distribution for our product as we continue to expand the designs. I will be at the licensing Expo in Las Vegas and a Capital Forum in June looking to find the right fit. What qualities make a great candidate at your company? Communication skills and passion are probably the top qualities I look for when working with Outdoor Robotics. When your working in a small company its important to like people and want to get along with people. I look for collaborators NOT competitors. – There are enough competitors outside the company. I like to foster a culture of fun which invariably leads to great ideas being designed. Embry-Riddle students come out of the gate with smarts and tech skill sets. Hard working, disciplined, self motivated, trust worthy, professionalism and ethics are values that seem to come with most candidates I meet from Riddle which is probably why we bringing on more interns than we originally planned. What skills does the internship/co-op build? 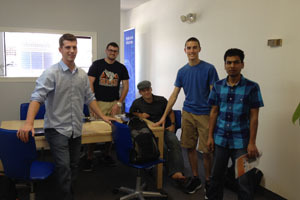 At Grimmster, interns will learn a lot about lean startup processes, product design and marketing. You can have a great idea but that idea needs to be executed with a good business model, with timing, with the right team and so on. Since we are all in an era of fast growing innovation, much of the learning will be soft skills – myself included, Communication, intuitiveness, awareness, and flexibility. What unique projects does a student/graduate participate in? Students will be hands on in the design and developments of new products at Outdoor Robotics. 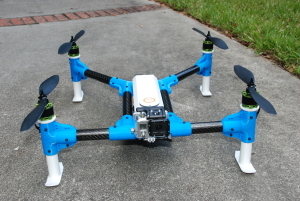 These include Modular UAS Mutli Rotor Air Frame Design, Open Source Micro Controller and GPS Design and Programing. What I am most excited about this year is incorporating Aerospace Engineering into Outdoor Robotics new product designs. This is something that I have recognized that other well funded commercial UAS/Multirotor startups are not doing. The scope of building new designs using AE testing is most interesting and valuable. What advice do you have for graduating students entering the workforce? Don’t accept the norm. You don’t need to be working in a large company if you don’t want to be. Look for the companies that are pushing for innovation. Companies that are challenging the old stoic ways of doing things. Companies that are growing and are looking for individuals and that embrace there input. Do what you need to do to pay the bills while you find such companies. They are out there and expanding. This is an era of innovation and makers. Big companies will have to apapt because small more nimble companies are excited and embracing a generation that wants to do something significant.